As controversial in politics as he was in the military, Ulysses S. Grant (1822–1885) was an embattled president, enormously popular with the American people, yet the target of unrelenting censure by political enemies. For the first time in almost a century, this book by the distinguished historian Charles W. Calhoun examines Grant’s administration in depth, offering a fresh look at the 18th president’s policies and actions during his two terms in office (1869–1877). Most biographers focus on Grant’s military career, giving less attention to the significant and complex questions that marked his presidential terms. These concerns, the issues of politics and governance, are at the core of this book. As a political historian with a vast knowledge of nineteenth-century America and an extensive array of original sources at his command, Calhoun approaches Grant’s presidency not as an incongruous or inconsequential sequel to his military career but instead as the polestar of American public life during a crucial decade in the nation’s political development. He explores Grant’s leadership style and traces his contributions to the office of president, including creating a White House staff, employing modern technology to promote the mobility of the presidency, and developing strong ties with congressional leaders to enhance executive influence over legislation. 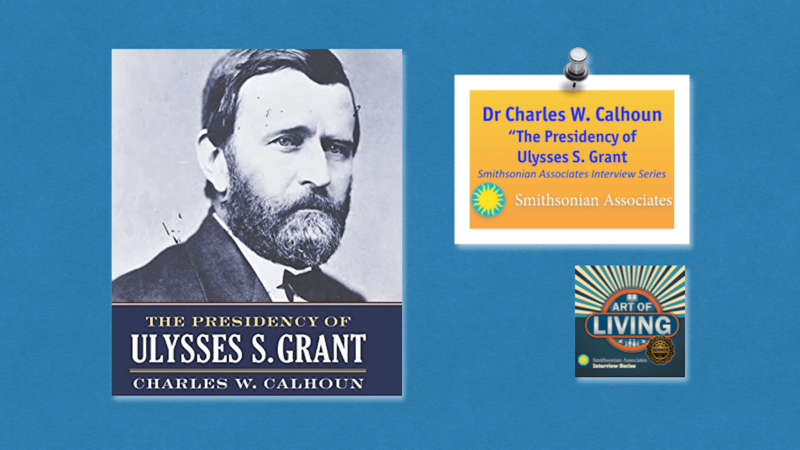 The Presidency of Ulysses S. Grant provides a detailed discussion of the administration’s endeavors in a variety of areas—Reconstruction and civil rights, economic policy, the Peace Policy for Native Americans, foreign policy, and civil service reform. It also offers a straightforward examination of the scandals associated with the period, highlighting the “embattled” nature of Grant’s presidency and the deep antagonism that marked his relations with key critics such as Charles Sumner, Henry Adams, and Benjamin Bristow. In sum, this book is a long overdue re-evaluation of a pivotal presidency in America’s political history.